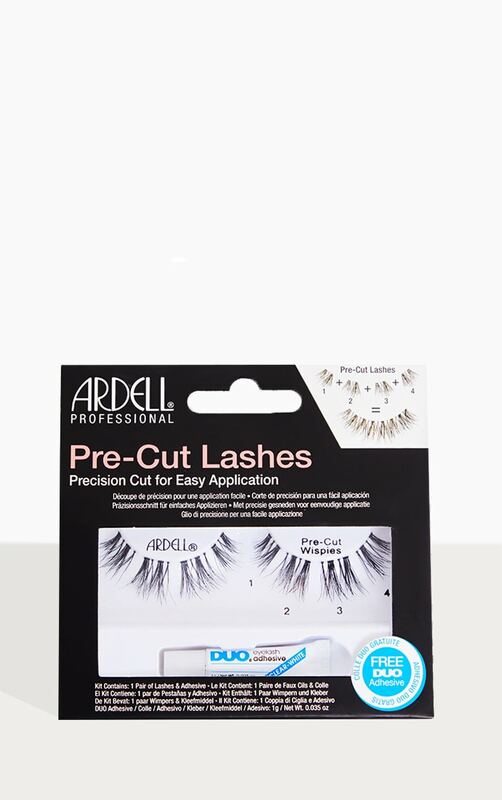 Ardell Pre-Cut Wispies Lashes Black (with DUO Glue) are ideal for creating a completely custom lash look. Each strip lash comes precision cut into four sections for even easier application. Perfect for wear on any occasion - day or night time.